A product of Pflugerville, Texas, Egwuagu will be playing in front of hometown fans during The Spring League’s 2018 season. Egwuagu, 23, decided to stay local for college, starring at the University of Texas at San Antonio. 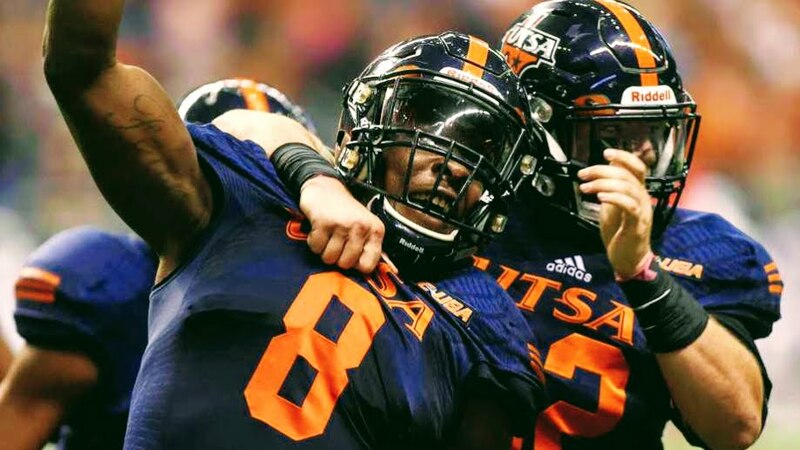 Despite playing at a small school, Egwuagu racked up the accolades: A two-year defensive captain and electrifying playmaker, he earned honorable mention All-Conference USA honors in 2015 and second team All-Conference USA in 2016 during his four years on campus. Impressively, Egwuagu was ranked as the second best corner in college football in 2016 with a pristine 90.3 rating, according to Pro Football Focus, second only to LSU’s Tre’Davious White (1st round pick by the Buffalo Bills in 2017). Egwuagu was also named to Pro Football Focus’ 2016 pre-season G5 Dream Team. Undrafted in 2017, Egwuagu’s athleticism, versatility, and playmaking ability earned him a rookie camp deal with the Chicago Bears. “Egg” will look to continue chasing his NFL dream while competing in The Spring League.